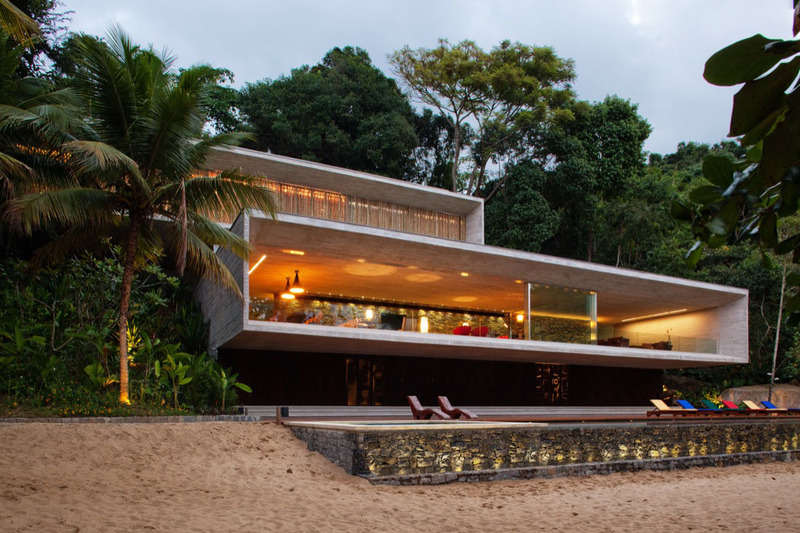 Surrounded by lush trees on a beach in the colonial city of Paraty, Brazil, this modern house finds balance in the topography of the land. The property consists on two concrete blocks projecting outward from the mountain in a cantilever, leaving nature practically untouched. 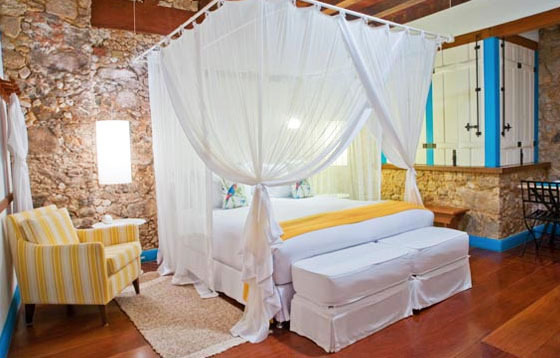 Casa Turquesa in the colonial town of Paraty in the province of Rio de Janeiro, Brazil is a serene and modern boutique hotel. 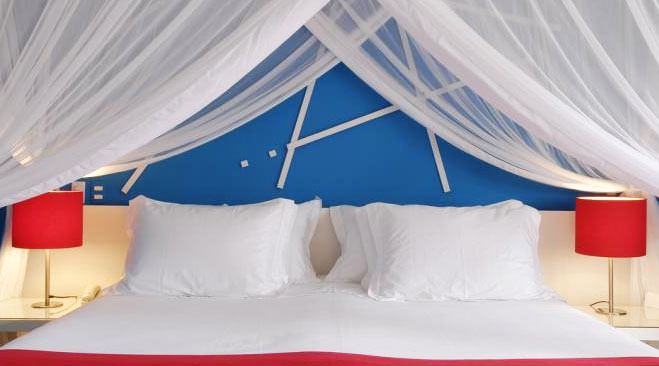 Each room has it own theme colour — Turquoise, Yellow, Red, Green, Pink, White, Brown and Royal. The vibrant interior design of this charming and colourful hotel celebrates the local culture, and the exterior of the hotel — designed by Renato Tavolaro — replicates the colonial architecture of an 18th-century town house. The coastal port of Paraty with lush forested mountains as a backdrop is also known for its cobblestone-paved streets throughout the Historic Centre District.